1. What are the benefits of using an ERP? 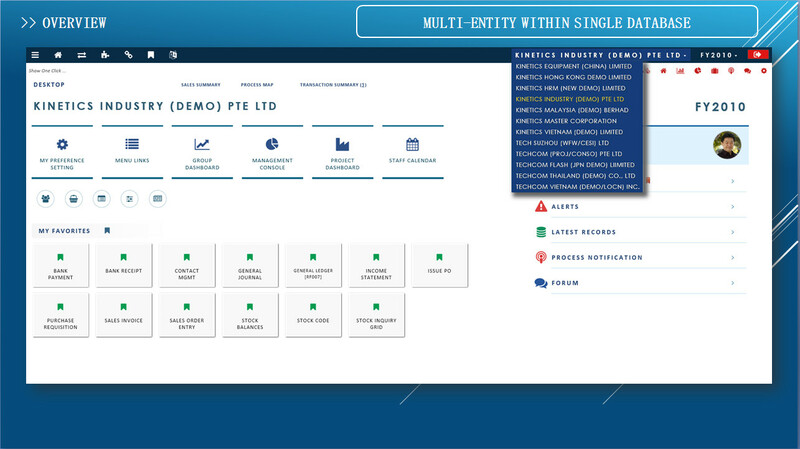 All modules, information and procedures are integrated to an efficient workflow process within your operations. 2. Why should I choose Globe3 ERP? 3. What industries does Globe3 ERP target in the market? 4. How much is Globe3 ERP? 5. How is Globe3 ERP implemented? 6. How long does the implementation of Globe3 ERP take? Based on your specific requirements, the implementation time could be short or long; if there are only few changes from the standard modules, it will be around 2-3 months. Globe3 ERP is not merely a software (install and use), it is also related to the company workflow, so there should be training and guidance for staff. 7. Does Globe3 ERP support companies with multi-entities located in many different locations? 8. Can I use my own language in Globe3 ERP? 9. How is the security level of Globe3 ERP? 10. Does Globe3 ERP support exporting report in Excel, PDF, Word, etc.? We have performed software implementation business since 2002 and have pride ourselves in ensuring that the implementation of software is successful in achieving customer satisfaction. This is achieved by our team members to be customer centric during consultancy. Because we are objective and independent, we can take a more holistic approach to the implementation life-cycle – an approach that can help enhance project benefits and reduce risks – and deliver unbiased value to your organisation. Globe3 professionals combine deep business, finance and accounting experience with technical and functional applications knowledge. Our Globe3 ERP solution is designed to handle common automation requirements, however we understand that every customer is unique. And it needs talents to ensure that a tailored made solution would be able to fit the need. As the customized solution would be building on our current Globe3 solution, less lead time and customization cost is needed. We are dedicated to have our satisfied customers to remain that way. Our team is on a mission for a continuous improvement to have our Globe3 solution to be reliable and competent. We have our support team to be well trained and available to support the customers needs. AWS Cloud Computing (Amazon Web Services) is a comprehensive, evolving cloud computing platform provided by Amazon.com. It allows you to access to any resources in the “cloud” at anytime, anywhere within the internet connection. AWS helps you minimize costs because hardware is maintained by Amazon, manage company data and meet compliance requirements. Globe3 system is installed on customer’s server or invested by customer under the support of Globe3 Consultants. With a whole server completely devoted to you and your websites, you’ll always have enough bandwidth with high security and memory to handle exponential amounts of traffic and any kind of multimedia and interaction. Under the consultancy of Globe3 staff, customer can choose to have shared hosting which is way less expensive for enterprises, highly customizable to your business’s needs and provides you sufficient space and bandwidth. If your business operates globally, your employees speak different languages, your customers are all over the world, Globe3 is definitely a must – have system for you. We are able to support customer with multi – language function including English, Chinese, Japanese, Thai, Malay, Vietnamese, etc. In addition, all translations remain intact and fully operational with no maintenance from release to release. Globe3 is capable of handling transactions in many currencies, automatically calculates exchange rates using either the vendor’s/customer’s currency or your home country currency and posts your realized gain or loss due to currency fluctuations. Whether you deal with one foreign customer, or hundreds of customers all over the world, Globe3 solves all of your currency conversion issues with ease. Globe3 allows customer to create unlimited number of entities / branches. 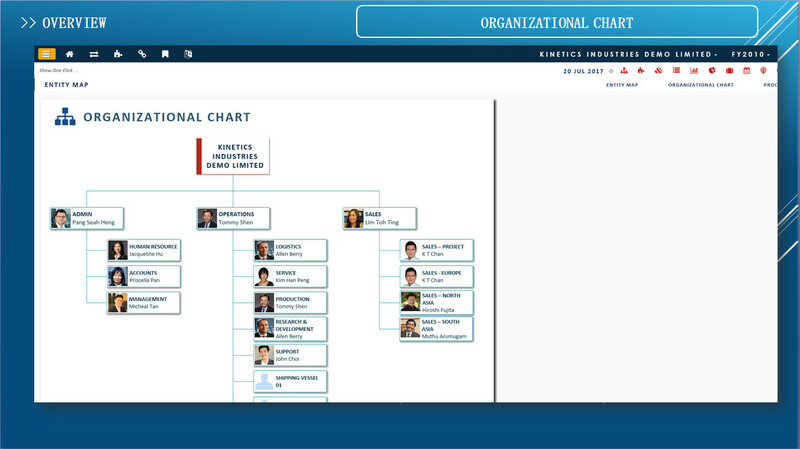 With a single click, system can be easily switched between entities. This strength is absolutely suitable for geographically dispersed, high value-added organizations who wish to manage the ongoing business of many oversea subsidiaries within one full consistent system. Globe3 delivers to both established regional and growing medium-sized enterprises with maximum flexibility: the ability to meet their diverse needs from a single-solution fully web-based platform. 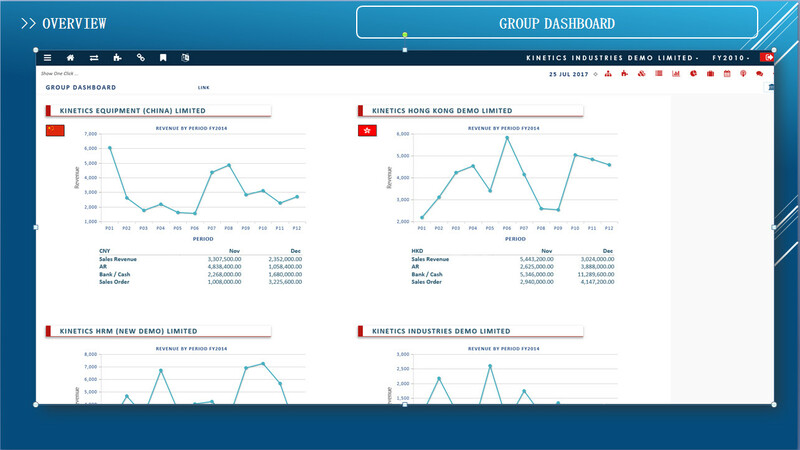 Globe3 enhances transparency within the system by keeping track on what has been done by users. Globe3 ERP is a web-based, mid-range, multi-company, multi-currency, integrated enterprise resource solution comprising of finance, manufacturing, supply chain management, order management, inventory management, customer relationship management, and employee self-service, that helps streamline a company's key business processes and significantly increase productivity and efficiency. Running on PostgreSQL database, this system is a robust package, scalable for companies from 10 to 500 concurrent users. 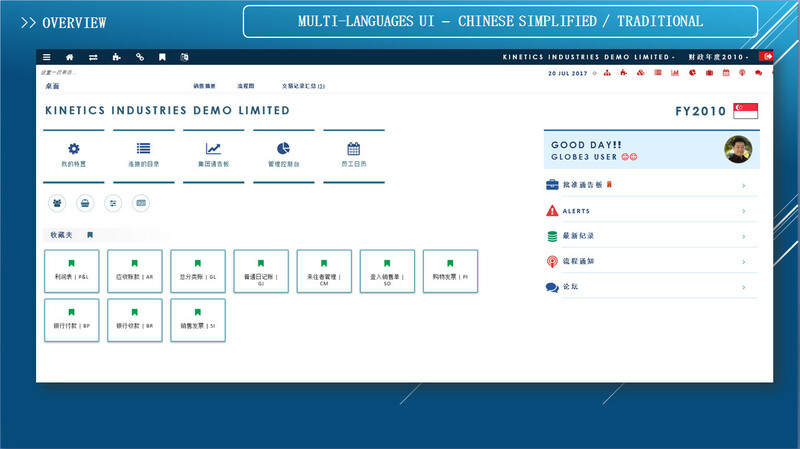 Globe3 is simultaneously multi-lingual in English, Chinese Simplified, Chinese Traditional, Vietnamese, and Japanese. 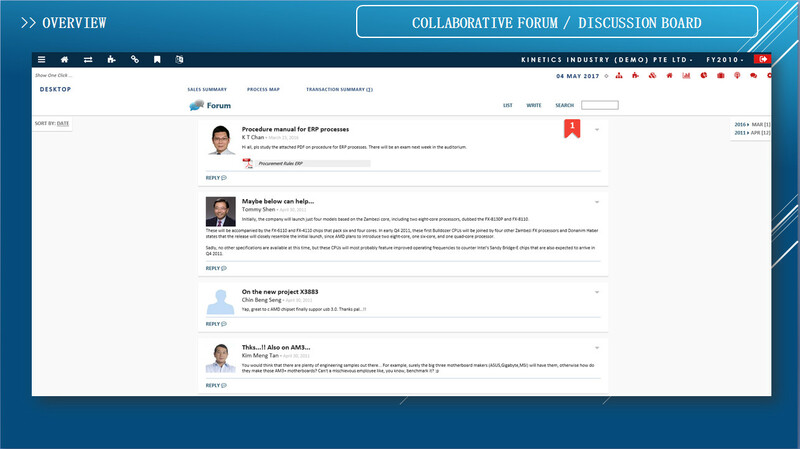 Globe3 ERP Finance module provides company-wide integration that is essential to strategic decision making. 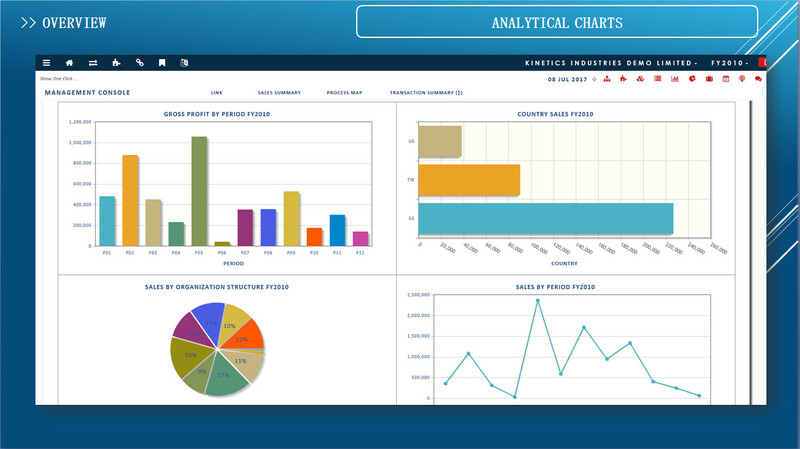 It gives you the ability to centrally track financial accounting data within a single framework, of multi – company, multi - entity. It also allows customer to gather financial data and generates reports such as ledgers, trail balance data, overall balance sheets and quarterly financial statements. 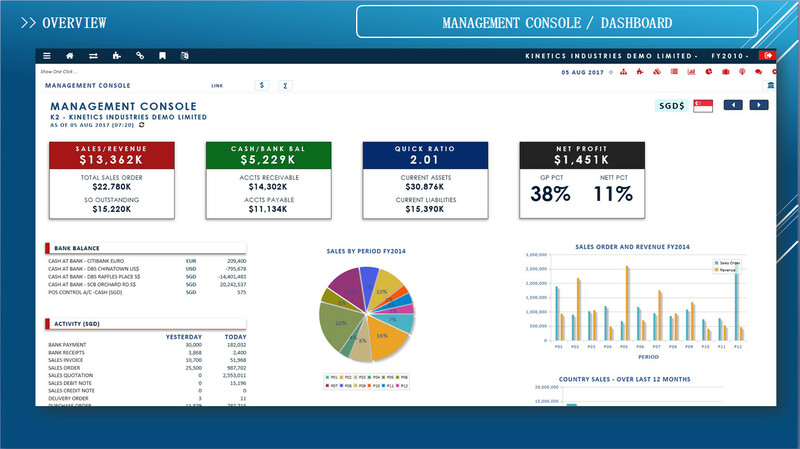 Globe3 General Ledger system is a full multi-company and multi-currency system that enables you to perform real-time comprehensive consolidation at the click of a mouse. Companies within the group can have different financial years and different base currency. Globe3 Cash Management is a multi-company and multi-currency system that helps companies effectively and efficiently controls their cash flow. With unlimited number of bank accounts and streamlined bank reconciliation features, this scalable module is key to multi location operations of a business. In addition, a comprehensive cash flow projection function gives users the ability to accurately achieve forecasting capability with users setting their own rules governing the projections. 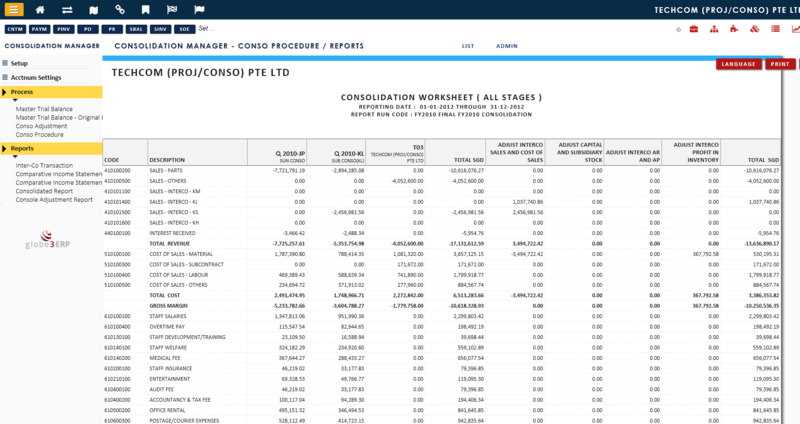 Cash book reports can drill down to source documents. 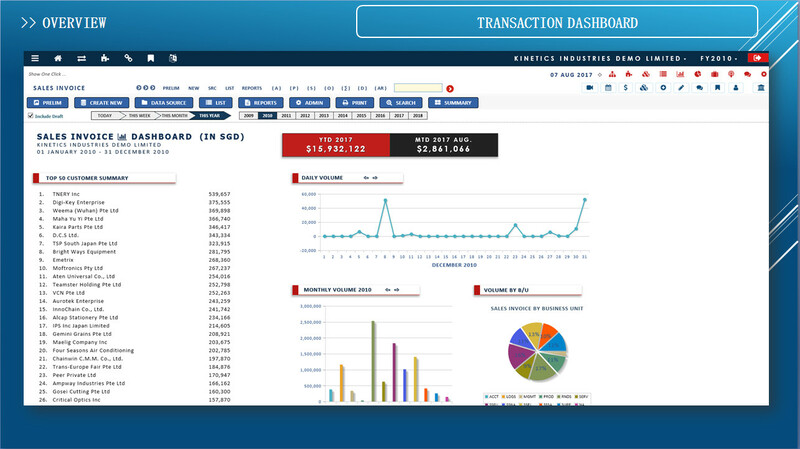 Globe3 Financial Consolidation Manager provides multi-currency capability and multi-level upward consolidation. It enables an organization to improve efficiency and timeliness of financial consolidation by reducing the time needed to use multiple data sources to retrieve the information required. Globe3 Supply Chain Management is one of the most fractured modules that integrate all import – export activities of a company. It is divided into smaller modules, which closely link to each other to improve management efficiency, save time and reduce cost. 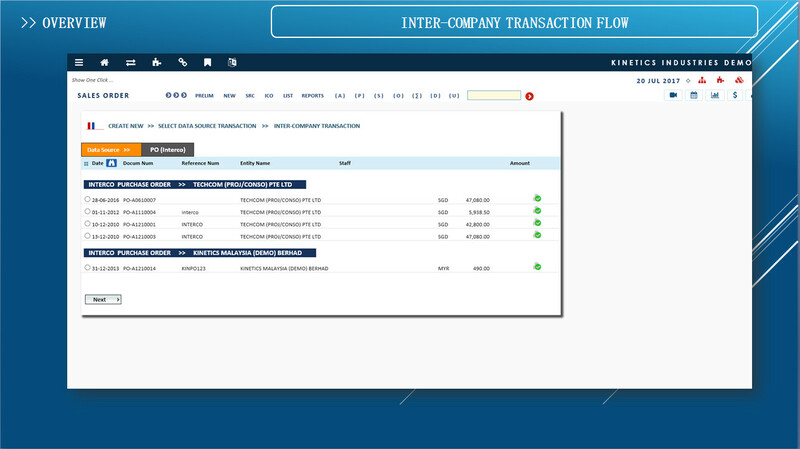 Globe3 Purchase Manager module is an integrated multi-currency material and services purchasing module that flows from purchase requisition to vendor invoice. 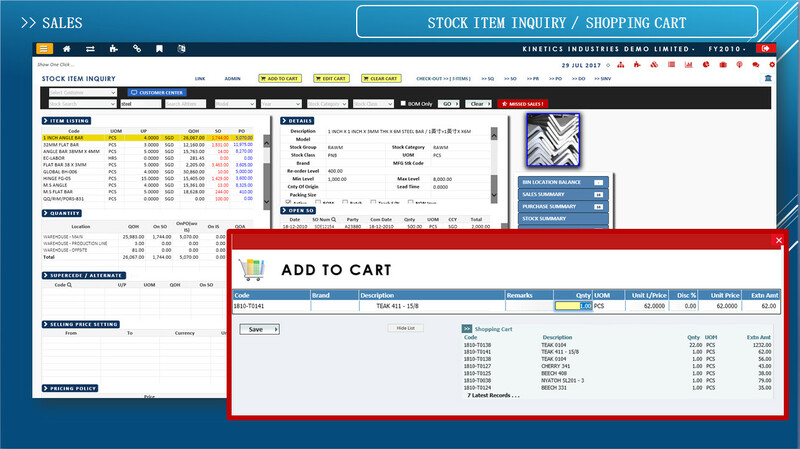 Linked to the inventory system, users are able to create purchase requisitions, purchase orders and purchase invoices from inventory listing tables. 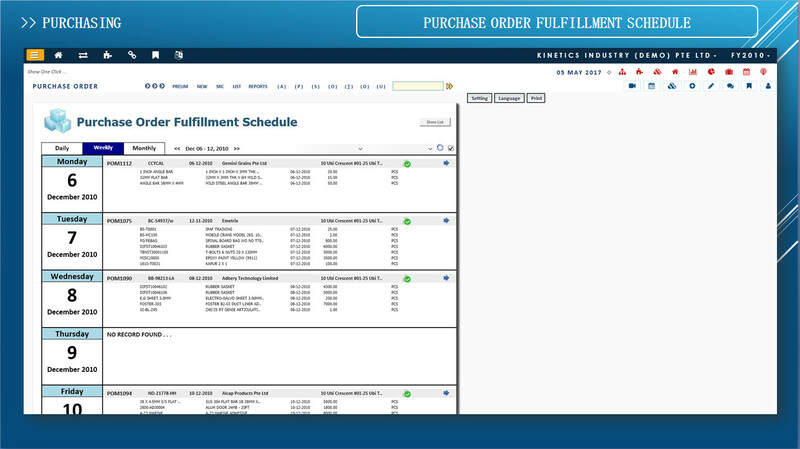 Purchase orders allow for multiple delivery dates and multiple delivery locations. 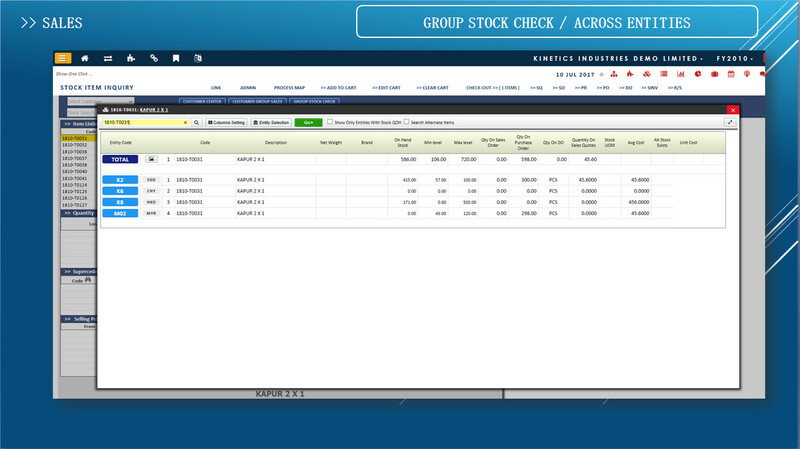 The system also enables users to allocate expenses relating to the purchase orders to a set of business units. 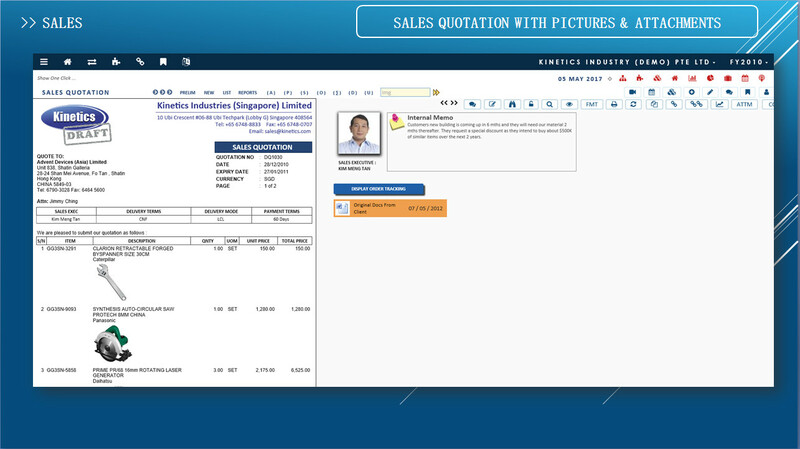 Globe3 Sales Manager module is an integrated, multi-currency order entry module that flows from sales quotation to billing to sales credit note. 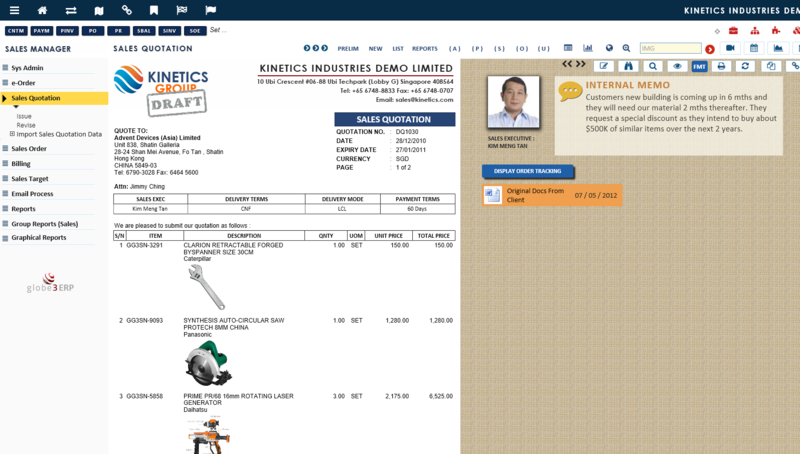 Linked to either the inventory system or to time-sheet management, users are able to create quotations, sales orders and invoices. With its sales forecasting feature, users can also forecast sales amounts from sales executive level up to company level reporting. 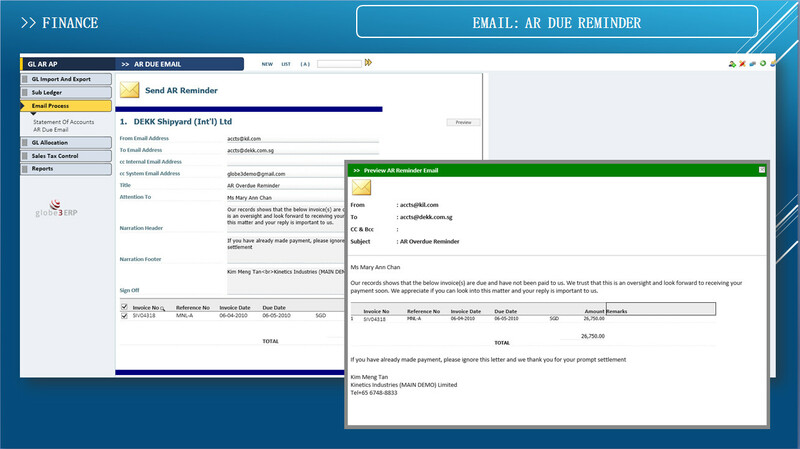 An unlimited number of sales forecast revisions that can be made within the system. 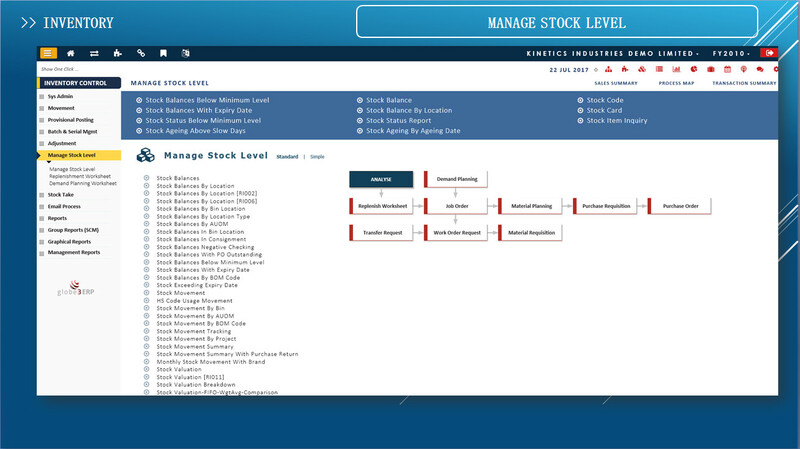 Globe3 Stock Master Manager & Inventory Manager is a robust stock management system built to manage large numbers of stock items and transactions. This module is linked to the Purchase Manager, Sales Manager and General Ledger modules, with the capability to use multiple-locations, reporting inventory balances in real-time. 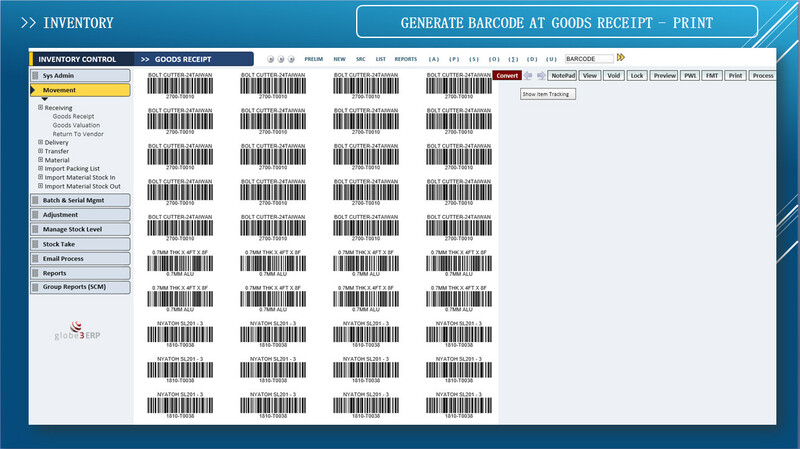 It can handle goods receipt, goods valuation, delivery, transfer, adjustments, goods return to vendor and sales return. Manufacturing is the center of factory, where production capacity is invested with the largest resources. This leads to the establishment of Globe3 ERP Production Module, which refers to production planning and inventory control software systems that are used to manage the manufacturing process. An MRP integrates data from production schedules with that from inventory and the bill of materials (BOM) to calculate purchasing and shipping schedules for the parts or components required to build a product. Thanks to MRP innovation, customer is now able to take full advantage of all resources, enhance productivity and reduce cost. Globe3 Production is fully integrated with other modules such as Inventory, Sales, Purchases, helping company with timely information exchange among departments and gain control of manufacturing processes, get closer to the practice of manufacturing. 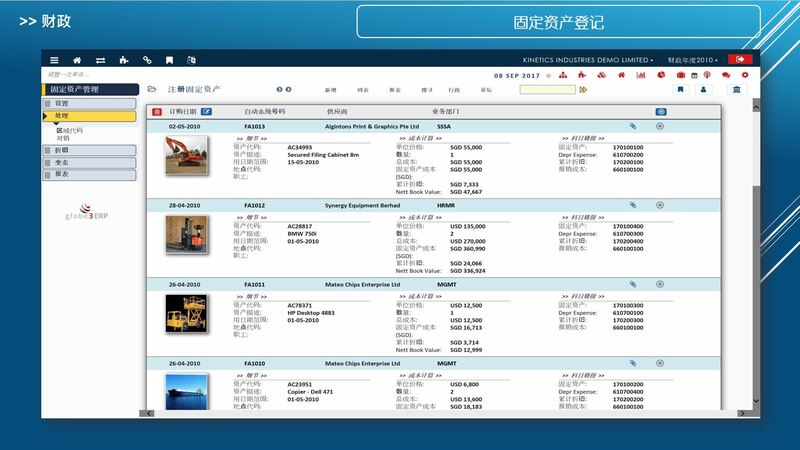 Globe3 Management Control provides management with integrated functions including fine – grain access rights control to manage the users access and modules access control to flexibly customize module access in system. 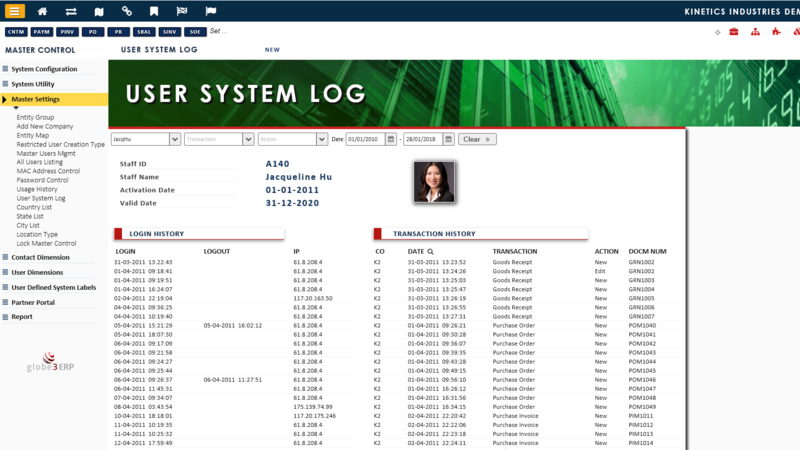 Globe3 ERP allows customer to create unlimited users with certain number of concurrent users and keep track on the history of user log. Besides, the system can show management what activities and processes have been done or changed in a day so as to improve the security level of Globe3 ERP. Globe3 ERP is capable to integrate all departments and functions of the entire company into a single system so that it is easier to transfer information and data between different departments. 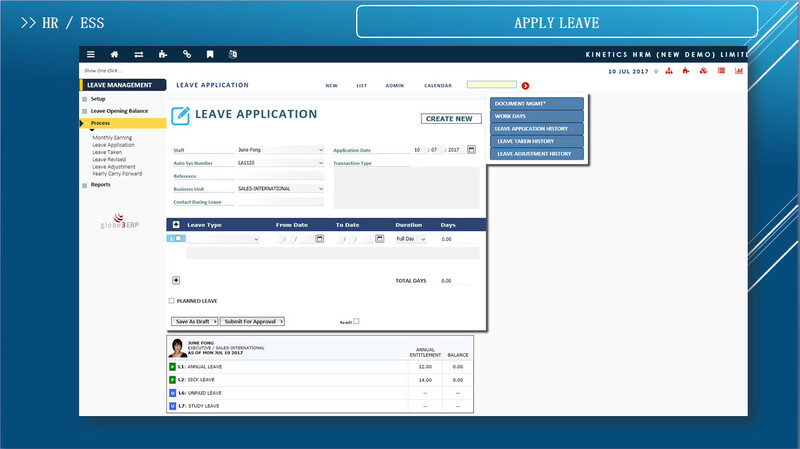 Moreover, this integration also reduces the data deviation in workflow. This feature applies for big corporations and companies that have many branches or subsidiaries located in different places; the parent company can access and summarize data anytime, anywhere without going to each subsidiary. 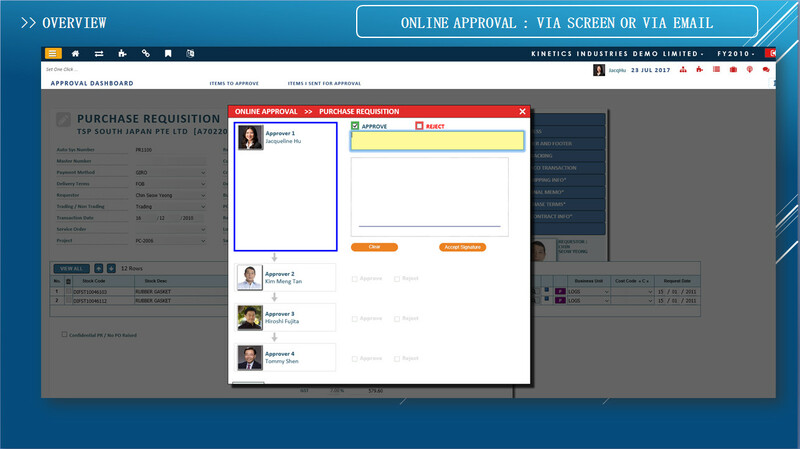 The system also can be customized to fit the changing requirement of the customer. Globe3 Enterprise Project Accounting module helps you control and manage the finance of projects and gives you real-time reports of profitability of each project. It is particularly useful for companies in the construction and engineering/software project industry where asset-based accounting is adopted. 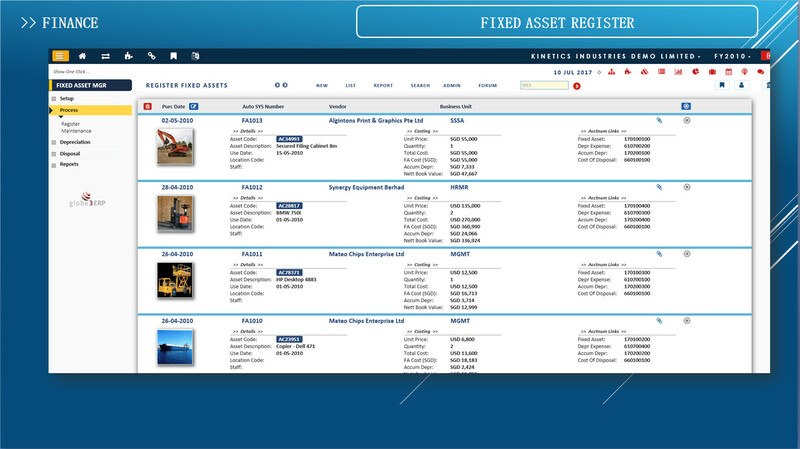 Project-level users can be controlled to have access to the accounts of selected projects. The auto-reversal of a project’s balance sheet at the completion of each stage of the project can be done on a percentage basis at user-defined date. 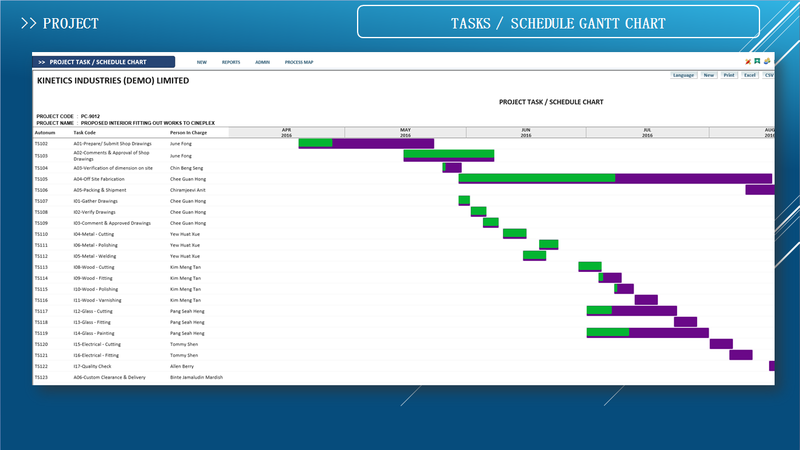 This reduces time and effort needed to close the books of each project and can give management access to a project’s profitability assessment at a click of a button. Globe3 ERP module helps you know your customer better and includes many features such as activities, history, related contacts, addresses of your customers and their transaction activities. CRM can be used by executives to create sales projections, by sales reps to maintain contact with clients, by the billing productivity to create invoices. The goal of CRM is to provide a comprehensive store of customer data that can be used to increase sales, improve customer retention, and make customer relations more efficient. 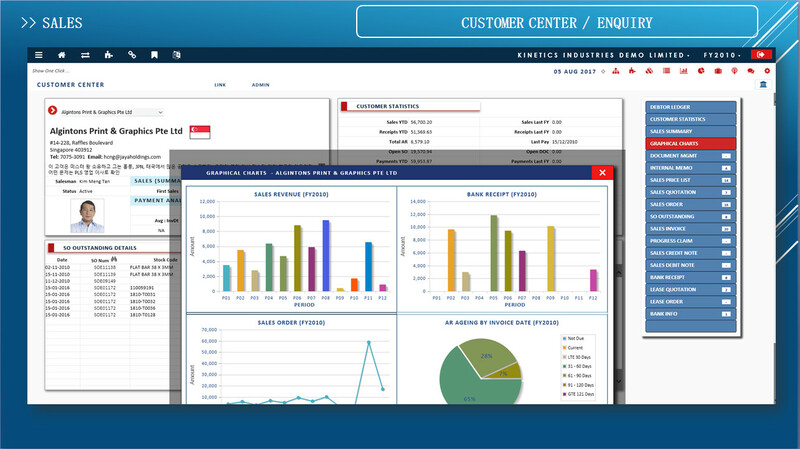 Globe3 ERP CRM helps update, store all customer information including current and potential customers. 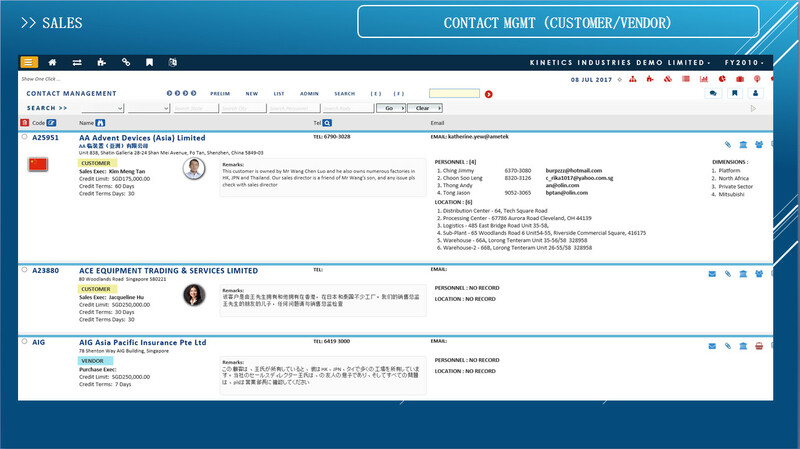 CRM software will collect, manage and link information about the customer. 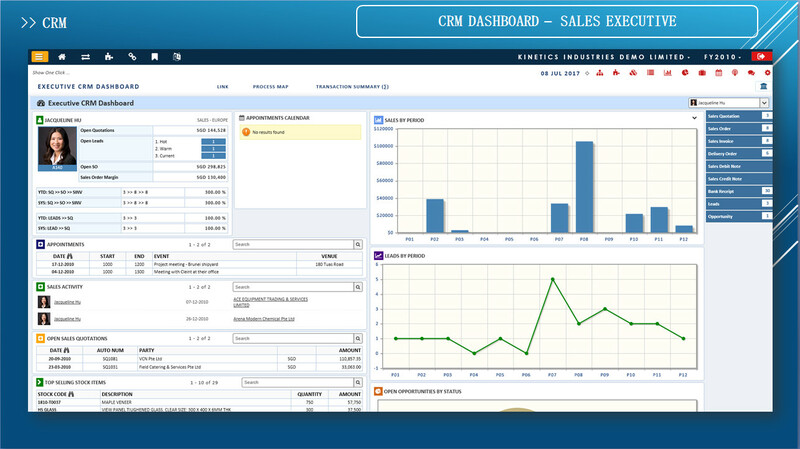 You can use CRM software to view a customers entire of history of interactions with your business and use it to streamline daily business and sales tasks. You can keep track and record detail information of a transaction with each customer so that the management can effectively evaluate the employee’s to the finance and supply chain modules which help the company easily update liability and sales, purchase order information of each customer. 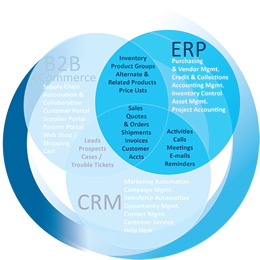 What makes Globe3 ERP CRM stand out rather than a separated CRM software is the smart integration between CRM module with others within one full ERP system. This helps you further improve operations management by easily updating liability and sales, purchase order information of every single customer.